Been a while since I rapped at ya. Final edits and setch. 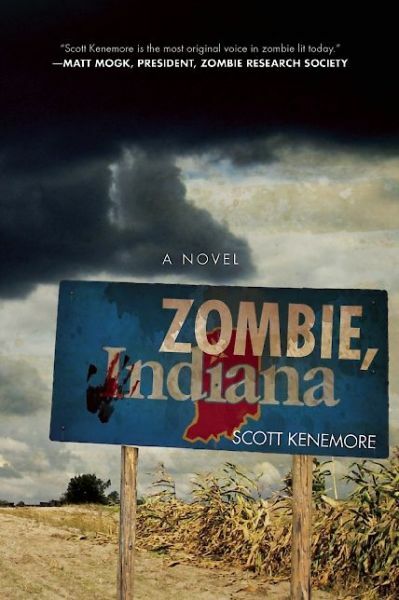 Here’s a tentative cover for Zombie, Indiana. The black clouds at the top are particularly ominous and appropriate. I like! Look for it in bookstores on May 6, 2014, or preorder it now! I am waiting for the day when I’m watching The Walking Dead and one of the characters is reading a Kenemore book in the background.